MidAtlantic IRA, LLC is an IRA administration firm that offers a full range of Self-Directed IRA accounts including Traditional, Roth, SEP, Simple and Individual k Plans. Self-Directed IRAs from MidAtlantic IRA provide investors the freedom to invest their IRA monies in real estate, private stock placements, gold/silver, notes, oil/gas and other alternative investments. Started in 2004, MidAtlantic IRA is a growing firm dedicated to delivering superior service, educational opportunities and IRA administration to its clientele. John “Jack” Kiley is a Certified Public Accountant, licensed in the State of Maryland. Jack has also earned the designation of CISP / Certified IRA Services Professional (Issued by the Institute of Certified Bankers). 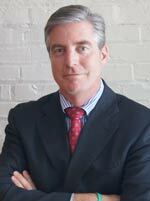 Jack is an entrepreneur, financial planner, real estate investor and a partner in MidAtlantic IRA, LLC. He is also principal in John Kiley CPA, LLC, a public accounting firm specializing in tax and small business accounting. Jack brings over 30 years of experience in public accounting to the table. He has extensive knowledge in developing tax, retirement and financial planning strategies for high net worth individuals and closely held businesses. He spends his days educating potential clients about the ins & outs of self-direction along wth overseeing the “Trust” side of the business. He is also the “technical” expert with regard to self-directing your IRA. Jack feels strongly about his clients’ having the ability to “self-direct” their retirement. Jack’s reputation for “speaking in plain English” regarding complex concepts gets him invited regularly to speak on these topics to groups across the country – and especially on the topic of self-direction. His knowledge makes him the expert to turn to, particularly when a complex scenario is needed for the purchase of real estate, mortgages, leases and other cash flows that the IRS allows in an individual retirement plan. You can reach him by phone 240/575.3880 ext. 201 or via email, jack.kiley@midatlanticira.com. Teddie Barnhart, a business owner and real estate investor, is a partner in MidAtlantic IRA, LLC and is in charge of Marketing and Operations. She is also Principal in Barnstorming Designs, Ltd — an award winning graphic design studio. A graduate of Drexel University in Philadelphia, she also earned a Master’s Degree from the University of Baltimore. Teddie has over 25 years experience using her expertise in the areas of marketing, operations and information systems. She develops and implements the internal day-to-day operational systems, handles marketing and is in charge of compliance. Teddie can be reached at 240/575.3880 ext. 203 or via email at teddie.barnhart@midatlanticira.com.